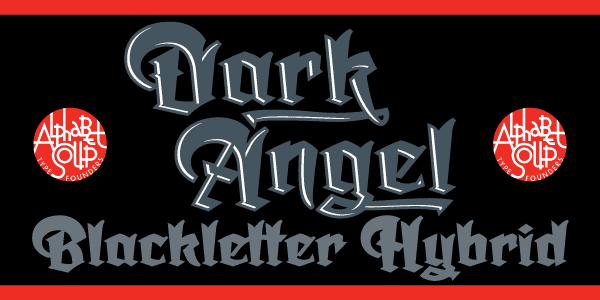 Alphabet Soup Type Founders and Michael Doret are proud to announce the Release of Dark Angel, a “blackletter/hybrid” font. 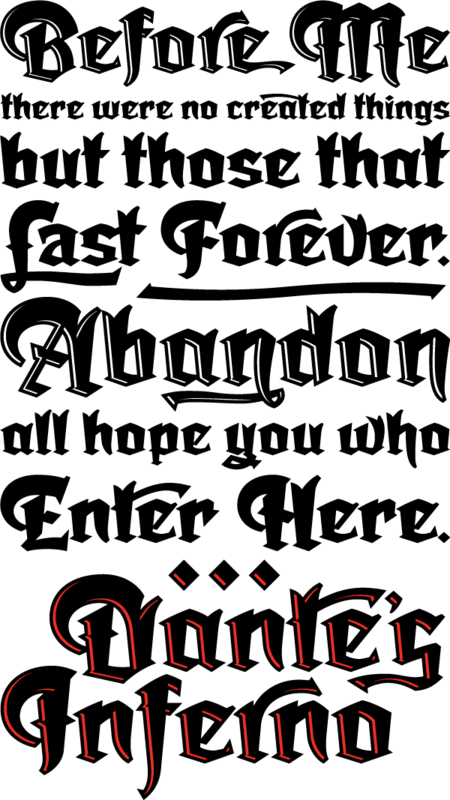 Dark Angel is the first completely new take in decades on the traditional “blackletter” font style. This font had its genesis years ago when the style was born in a sktech Michael created of a new logo for the California Angels baseball team (renamed shortly thereafter the Anaheim Angels). That Angels logo was never completed, but its rough sketch rose from the dead and become the basis for this brand new font design—and was also the source for the name. 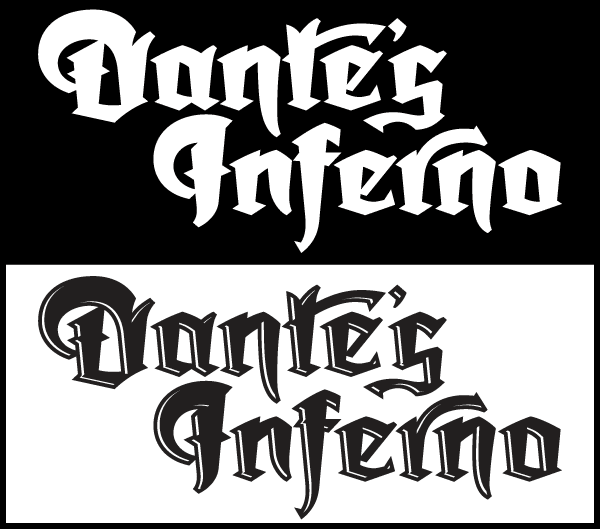 Below you can compare the forms from that original logo pencil and the corresponding letters from the new font. Many accomodations had to be made to keep these forms working together as a font but, as much as possible, the spirit of that original character design has been kept. 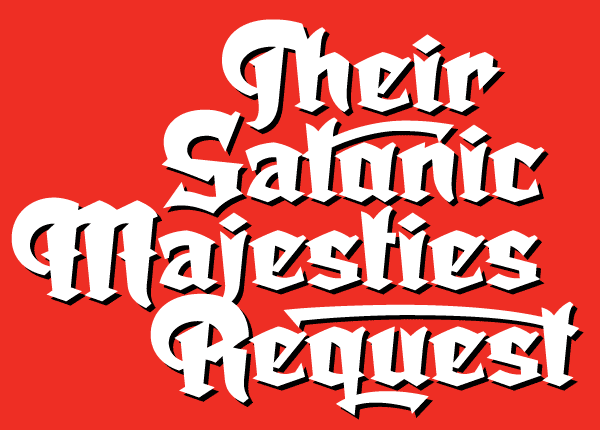 It’s kind of blackletter in feel, but as a display font it’s so much more. It is far more legible than most “Old English” or “Gothic Script” styles, and incorporates many features never before seen in them, such as swashes, tails and a plethora of ligatures. 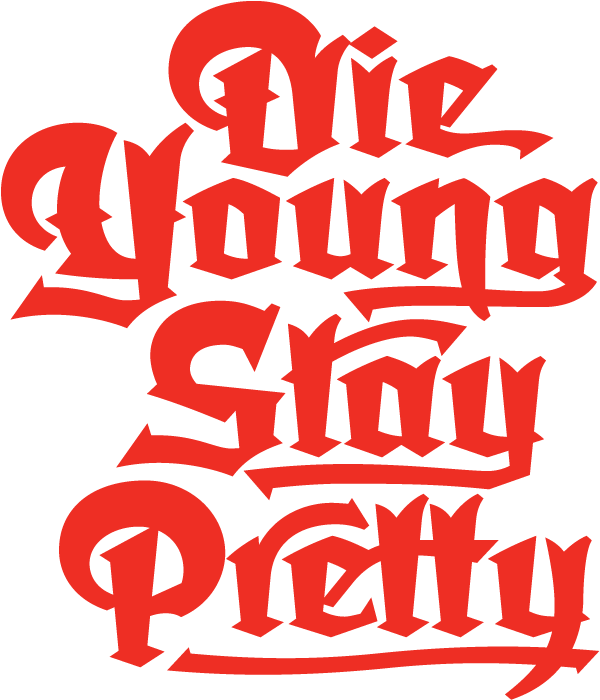 Type purists may be critical of the lack of adherence to traditional forms, but this font should be seen only as “in the spirit of” blackletter, and attempting to create something that hasn’t been seen or done before—something that feels traditional, yet at the same time fresh and unexpected. 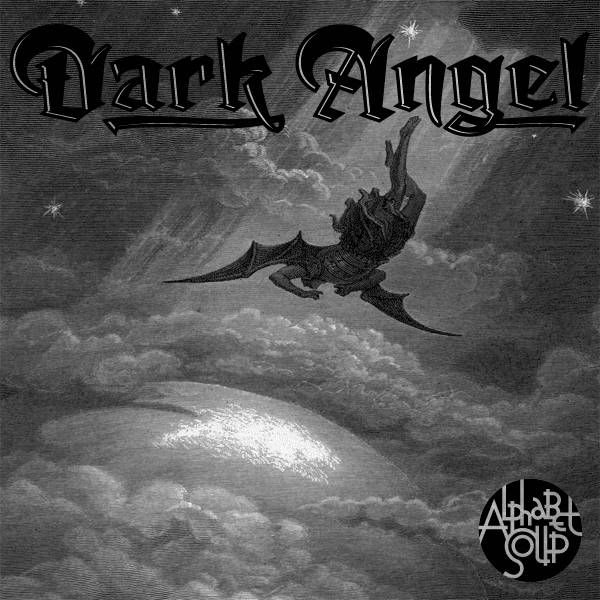 Dark Angel can be purchased in its regular solid form, or as Dark Angel Underlight—a “handtooled” font. 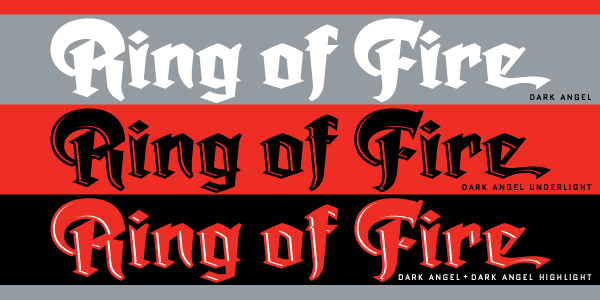 When these two fonts are purchased together as a Family package, included will be a third font—Dark Angel Highlight. With this font layered over the basic font, two–color typesetting will be created when the highlight and the base font are assigned two different colors. 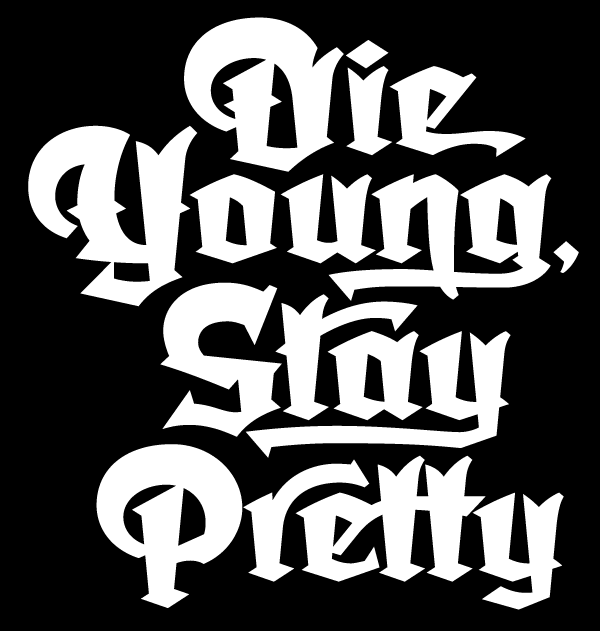 With Stylistic Alternates you can go either “Plain” or “Fancy”, changing the look of your copy to suit your needs. Compare the two samples below. Some characters have multiple alternates. 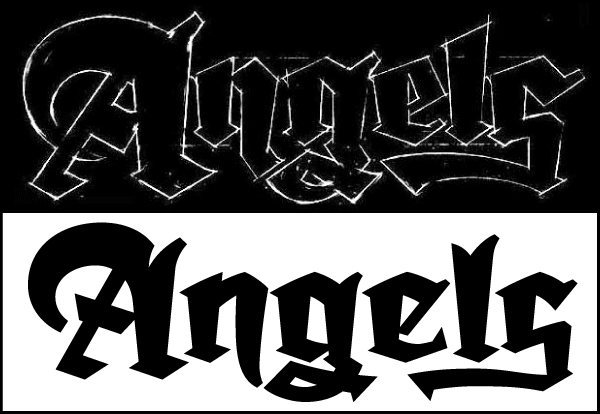 Utilizing Dark Angel’s various features, words can be put together to build creative configurations, wordmarks and “Logos”. The free-standing underlines you see in some of the examples shown here were set independantly and then manually moved into position. 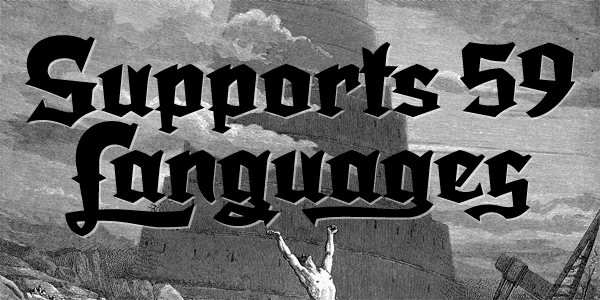 Dark Angel has enough language support to make the builders of Babel envious—its 1,163 glyphs can be used to set copy in 59 different languages. From A to Z: Afrikaans, Albanian, Basque, Bemba, Bosnian, Catalan, Cornish, Croatian, Czech, Danish, Dutch, English, Esperanto, Estonian, Faroese, Filipino, Finnish, French, Galician, Ganda, German, Hungarian, Icelandic, Indonesian, Irish, Italian, Kalaallisut, Kamba, Kikuyu, Kinyarwanda, Lithuanian, Luo, Malagasy, Malay, Maltese, Manx, Morisyen, North Ndebele, Norwegian Bokmål, Norwegian Nynorsk, Nyankole, Oromo, Polish, Portuguese, Romansh, Sango, Shona, Slovak, Slovenian, Somali, Spanish, Swahili, Swedish, Swiss German, Turkish, Welsh, and last (but not least) Zulu. –For more detailed information download The Dark Angel Manual PDF (1.1 MB). 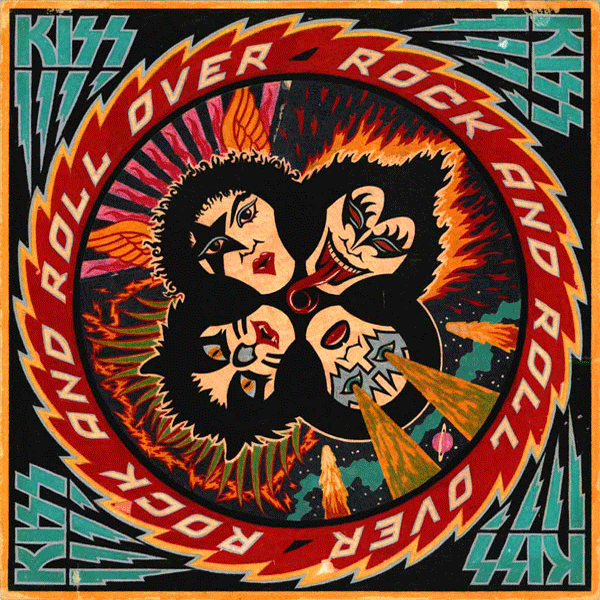 When I was asked to design and do the art for KISS’ 4th studio album Rock and Roll Over, I was fairly ignorant of the culture that was forming around the group. I was unencumbered by any preconceived ideas as to what the group and their music was about. Many are surprised to hear that Gene, Paul, Ace and Peter had to explain their different personas to me before I started working on the design. 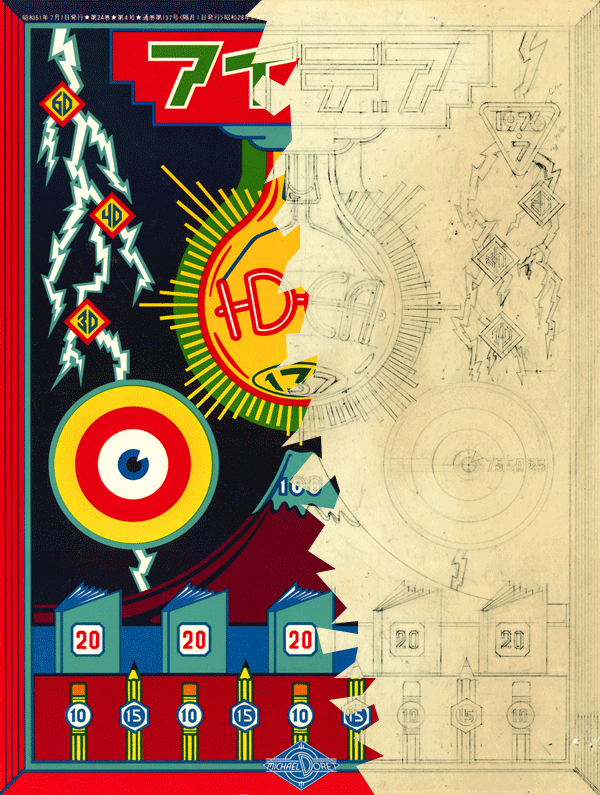 I’d love to be able to show my working pencil sketches, but over the years they’d gotten lost or destroyed, and the only record left was the original colored pencil comp that I used to explain my concept to the group. A few months earlier I had done a cover for IDEA, a Japanese art magazine that had done an article about my work, and for whom I had created a cover. I really loved how that cover had turned out, so my thought was to try to emulate the look I had come up with on this new cover for KISS. 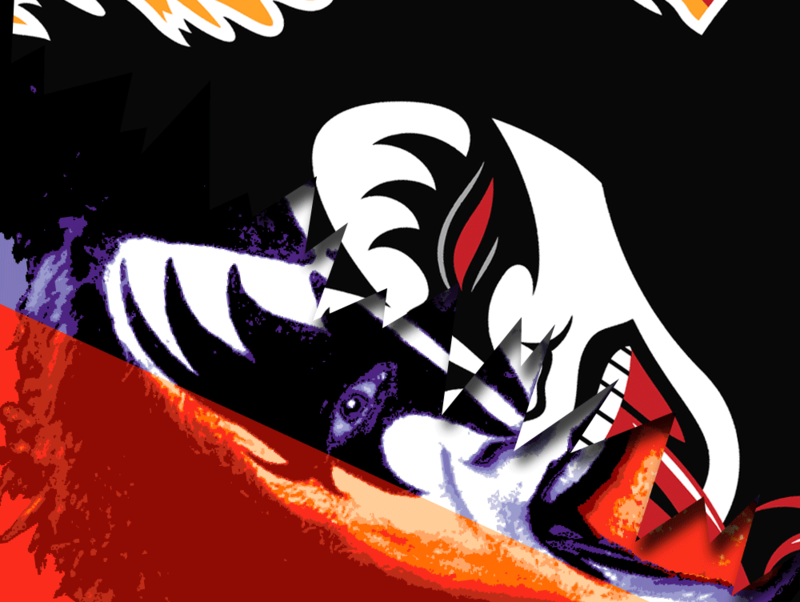 My cover for IDEA had certain gamelike, and very graphic elements that I thought would work well telling the story of what KISS were about. The meeting went particularly well, since I was expecting outright rejection of my idea—which at the time was pretty unorthodox for an LP cover. 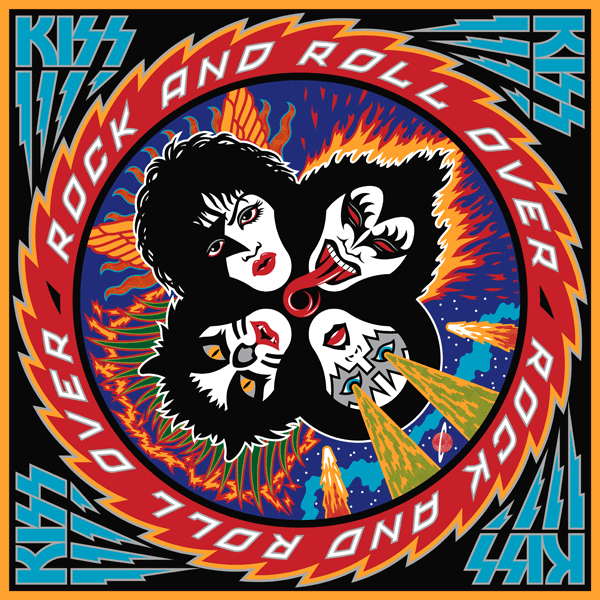 The changes gthey asked for, I felt, were fairly minor—adjustments to the faces (with the exception of Peter Criss), and rotating the lettering 90°. 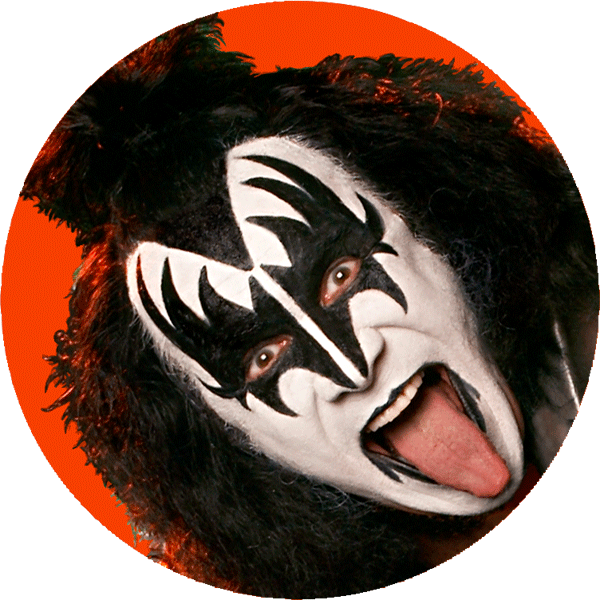 The KISS logo already existed, but I felt it needed some help to work better with my design (Paul told me he had drawn it on his dining room table). So I redrew it, making the design more consistent, and adding the lightning strokes to help give movement to the sawtooth blade. After the cover was done, I didn’t think about it very much. It was only years later that I came to understand that this cover had taken on a life of its own and become sort of a cultural icon. I started to realize that when I discoved all the incredibly blatant and poorly done rip-offs of my design. Rather than upsetting me, seeing all that was quite amusing . . . after all, isn’t imitation “the sincerest form of flattery”? Another indicator to me of how pervasive this design had become in the culture was that people were having it permanently etched onto their bodies. This both horrified, and delighted me at the same time! Personally I would never have anything tattooed on my body—especially one of my own graphics: I’d get bored with the design way too quickly, and then it would be too late to do anything about it. 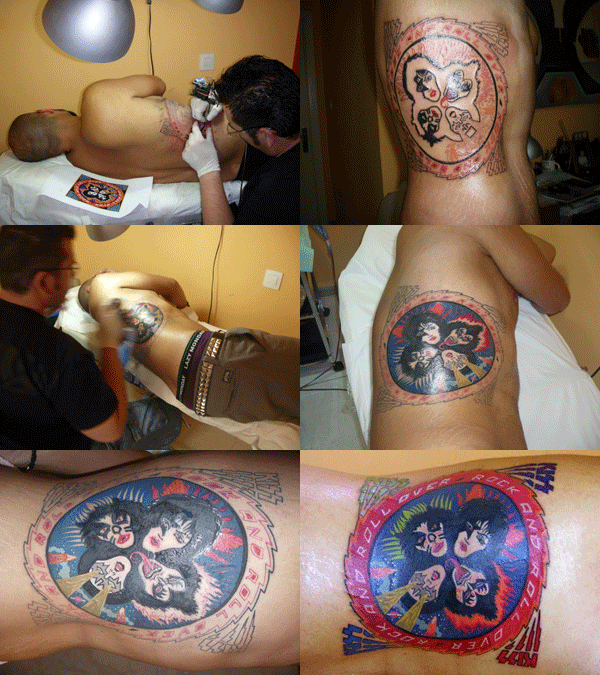 Here are some shots of the process of one lucky soul having the complete Rock and Roll Over art permanently engraved on his right flank. The tattoo artist did a pretty good job, if you ask me! And below, for your viewing pleasure, a few more of my favorite RaRO tattoo shots. 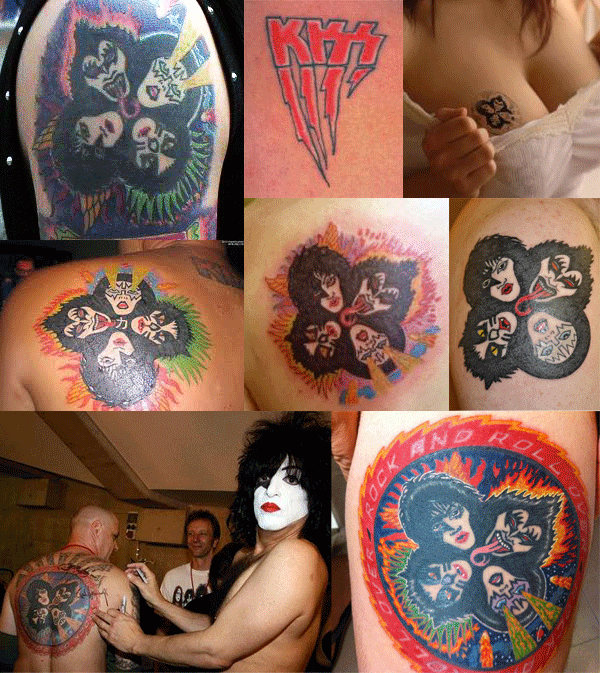 I especially like the one of the guy getting his back autographed by Paul Stanley. 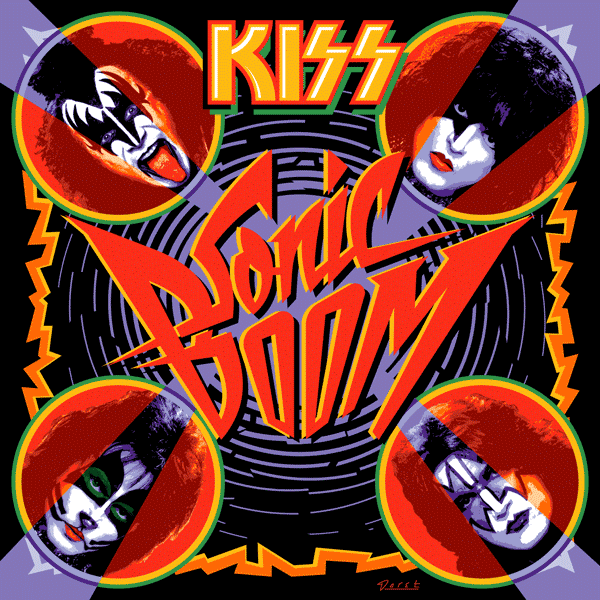 Now that’s what I call Kiss Kommitment! Speaking of Paul, he contacted me again recently. It seems that KISS were about to record their 19th studio album. 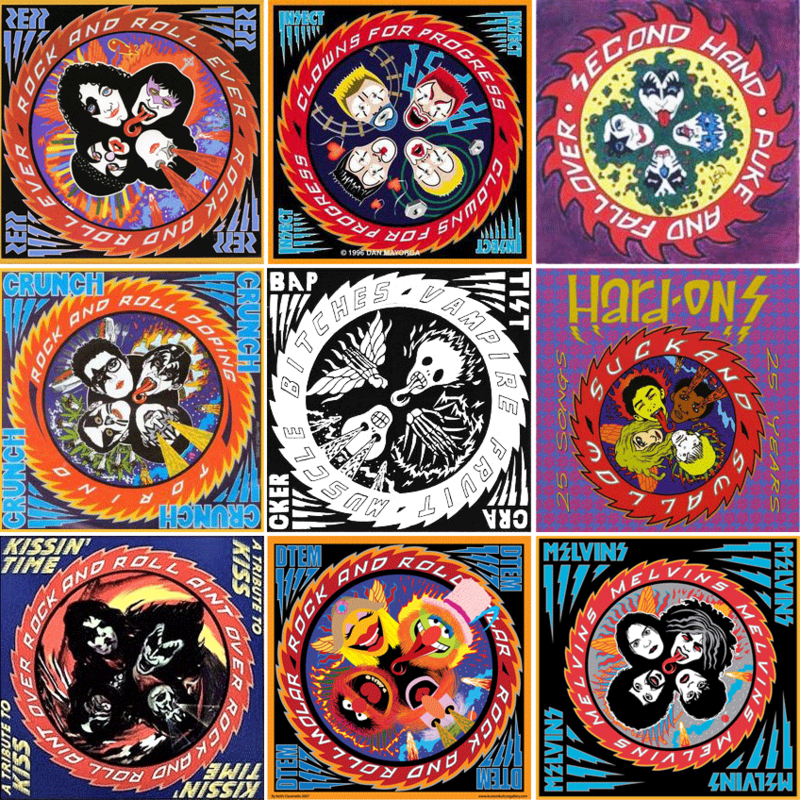 They hadn’t done one of those for eleven years, and he told me they wanted to recapture some of the magic that the Rock and Roll Over design had provided for them when they were starting out. So, in a way they kind of wanted Rock and Roll Over All Over Again—the same . . . but different. 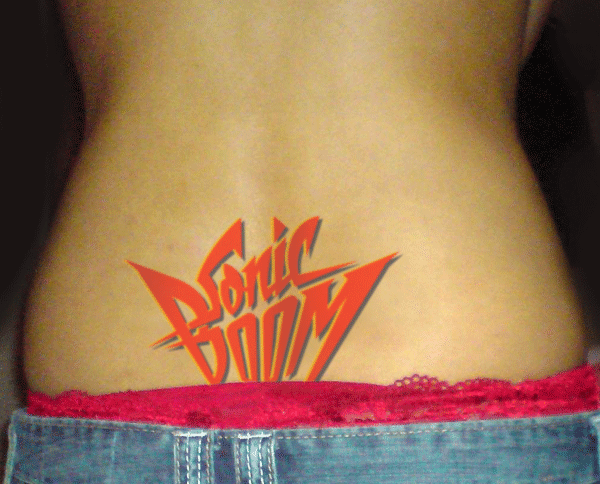 Everybody’s got an opinion as to whether the art for Sonic Boom is better or worse than that for Rock and Roll Over. Being so close to both designs it’s difficult for me to say. As far as Sonic Boom is concerned, I did the best I could within strict limitations provided by Paul. I think it solved the problem, and I’m quite happy with the results. I’ll leave it to time, to posterity, and to others to decide if Sonic Boom becomes as much a cultural touchstone as Rock and Roll Over did. If it does, we may soon start seeing . . .